Music is your passion. Videos? Yes! Extra, yes. 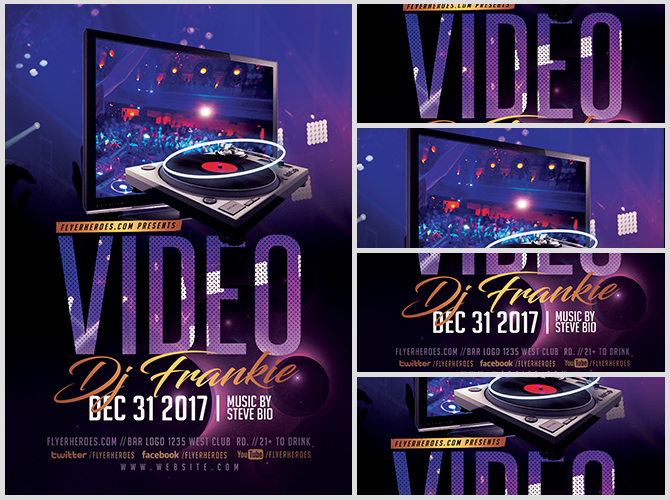 Marketing your video DJ services? Not so much. 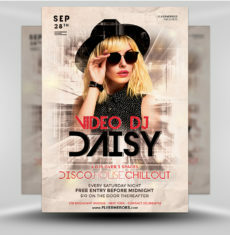 You’re a creative person who would rather spend all of your time providing quality DJ live entertainment. So, FlyerHeroes is here to help out. 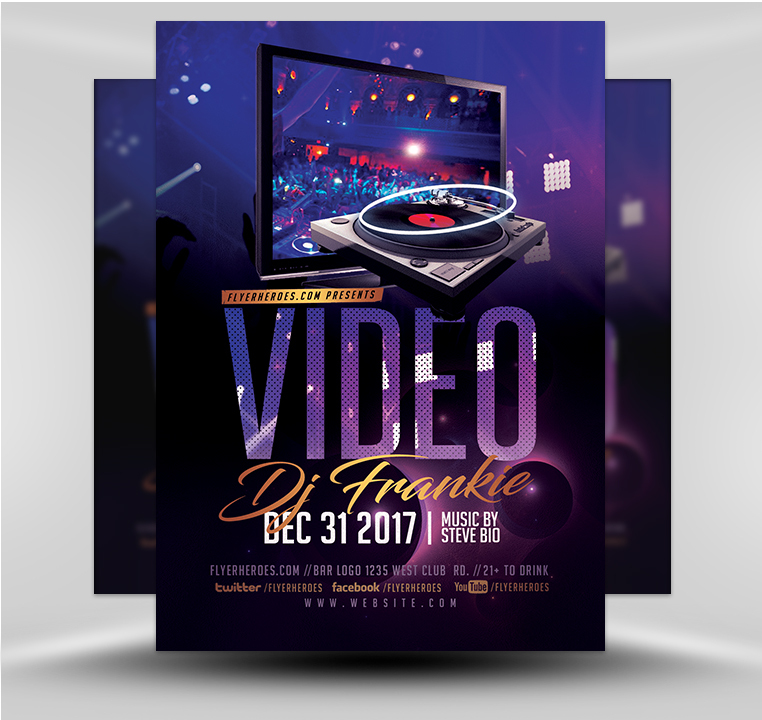 Using our Video DJ flyer template is the fast and easy way to create custom Video DJ flyers you can use to increase your booking rate. Video DJs are a highly-desired form of entertainment but there is also plenty of competition. Are you seizing every available opportunity to transform an ordinary event into an unforgettable video entertainment extravaganza? Don’t miss out! 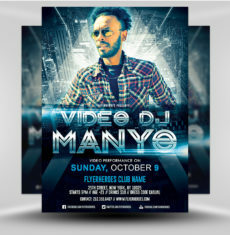 Using this professional-looking Video DJ flyer, you can start promoting your video DJ services to bars, fundraisers, private clubs, corporations, cruise ships, and more. You can customize unlimited flyers to create different versions for different occasions: bat mitzvah, confirmation party, birthday, graduation, corporate functions, weddings, dance club events, or anniversary parties. 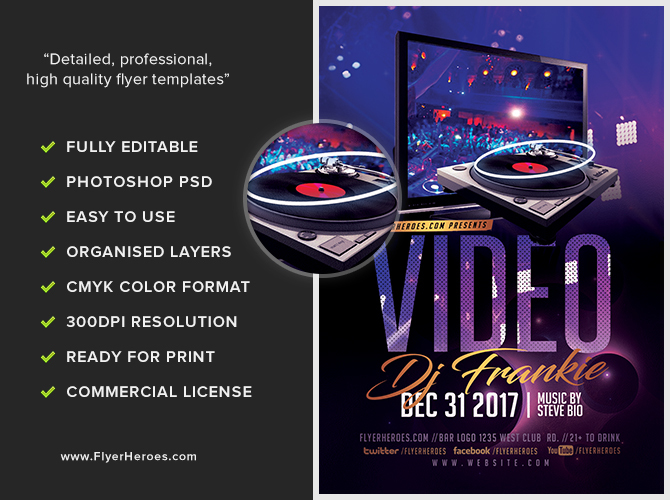 For a one-time fee, this Video DJ flyer template will set you free to spend more time hosting events and less time creating marketing media. 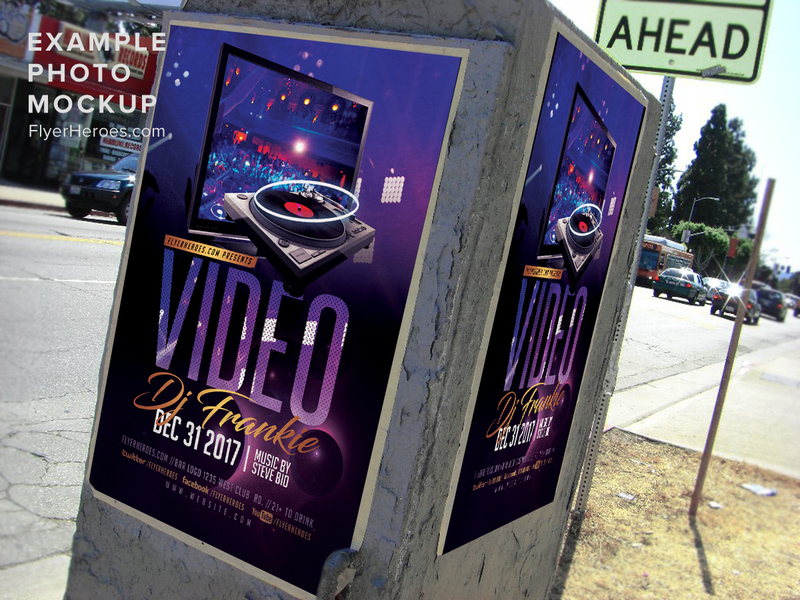 In less time than you spend hauling and setting up your equipment, you can create a professional-looking flyer to promote your Video DJ services 24/7. This flyer never sleeps!